Bigg Boss is one of the most controversial shows and the followers do not miss out any chance to keep up with the updates. Owing to its popularity, it started in Telugu language as well. Bigg Boss Telugu started with a bang with superstar Junior NTR on board as the host. Naturally, his presence was all that was needed to make the show reach the peak level. After the months of controversies and tasks, the show finally got its first winner. 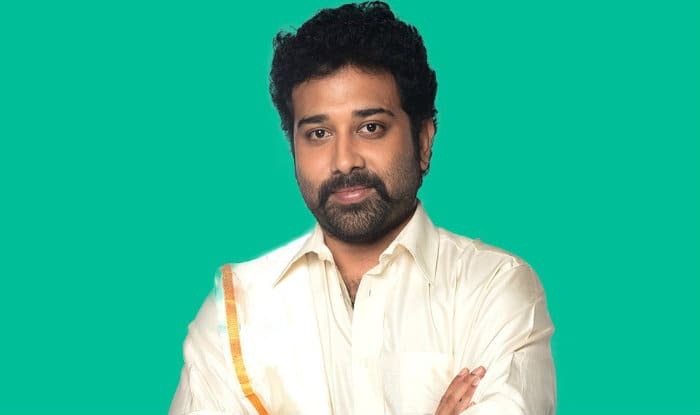 Siva Balaji took away the title of first Bigg Boss Telugu. The Junior NTR will launch the famous reality show Bigg Boss in Telugu Version on Star Maa channel. It is considered to be the NTR’s first venture towards television and hence regarded to be the largest small-screen ventures in south India. With his natural talent and spontaneity, Jr.NTR will tend to play important role in connecting with the audience as well as dozens of celebrities placed in the locked house. During this show, about dozens of participants will be put inside a locked house with needed amenities but they will be absolutely eliminated from accessing technology and outside world. Everything will be continuously watched by plenty of camera placed and hence by the ultimate audience group. This show assures to learn how to live and share with each other. Previously, famous star Chiranjeevi was linked in hosting the reality show however due to its busy schedule in Meelu Evaru Kotiswarudu, he stepped back. Junior NTR has shown interest in hosting the Bigg Boss show in the Telugu channel. As per the reports, it is confirmed that Junior NTR is offering with huge sum of money to play the Big Boss show. Like NTR, Kamal Hassan has recently signed to launch Bigg Boss in Tamil version. Junior NTR is a young and energetic tiger of Tollywood as he is appointed for hosting the famous Bigg boss show. Moreover, he is a grandson of NT Rama Rao who is a former CM and Legendary actor. Have a Look at the Bigg Boss Telugu Contestants who entered to the Bigg Boss House. Bigg Boss Tamil 2017 Winner Name & Prize : Who will be the winner Bigg Boss Telugu Season 1? Star Maa is extremely enthusiastic to launch the Bigg Boss show which is considered as the tremendous reality show in the globe. This show aims to entertain and offer Telugu audiences with excellent content ideas all over the globe. By having junior NTR, who is the most revered and famous Telugu stars, it is expected to involve the diverse spectrum of spectators in this show. The Bigg Boss is known as the Indian description of international set-up Big Brother as it is one of the engrossing reality television show ever before. The Endemol possessed set-up Big-brother had about 10 blockbuster seasons in Hindi version which was hosted by famous personality Salman Khan. That’s about Bigg Boss Telugu Contestants List, Housemates Rules, Timing Details. When the production house roped in Kamal Haasan to host the Tamil version of Bigg Boss, the expectation was that a senior actor in Tollywood would similarly do the honours in the Telugu space. After all, the likes of Nagarjuna and Chiranjeevi had already made their foray into television in Telugu. But in a strategic move, Star Maa has gone in for N T Rama Rao, known as Tarak or Junior NTR. The grandson of N T Rama Rao, the legendary actor and former Andhra chief minister, Tarak is one of the top notch young actors in Telugu cinema. For a fan association-driven film industry, this is a significant casting coup, as NTR is a huge crowd-puller. Tarak's fans see this as a landmark moment for Telugu television, as no young hero in the top league has attempted an appearce on the small screen. NTR himself believes that "the show will be a game changer" in Telugu television. "Star Maa was looking for someone with spontaneity and energy, and these two aspects define Tarak," says Mahesh Koneru, trade analyst who closely tracks the Telugu film space. "Since the show does not have a fixed script, it will work for Tarak, who has a sense of humour," he added. And lest it be missed, the name NTR still works like magic in Andhra Pradesh and Telangana. In terms of remuneration, the g****vine has it that NTR, who is also a trained Kuchipudi dancer and playback singer, has been offered the highest ever remuneration offered ever to a Telugu actor to host a TV show. Incidentally, like Kamal, Tarak also started off as a child actor. His first film, at the age of 13, saw him starring in the lead role in Ramayanam, which won the National Film Award for Best Children's film in 1996. He made his debut as a hero four years later with Ninnu Choodalani. Among the Telugu heroes, he has worked in the maximum number of movies with Baahubali director SS Rajamouli, delivering three hits with him in Student No 1, Simhadri and Yamadonga. It is interesting that Tarak was chosen over several other actors in Tollywood. Nagarjuna was a hit with Meelo Evaru Koteeswarudu, the Telugu version of Kaun Banega Crorepati and helped the channel move ahead in TRPs, but his successor Chiranjeevi proved to be a flop. Sources say this is what may have prompted the producers of Bigg Boss to go in for a younger hero. From NTR's point of view, it is also a smart career move. Though he had two releases in 2016 in Nannaku Prematho and Janatha Garage, he will have only one release in Jai Lava Kusa towards the end of the year. Staying connected with the audience through another medium therefore will ensure he is not out of sight, out of mind. Interestingly in recent months, NTR has also been posting pictures of playing with son Abhay Ram on social media, projecting a very familial image. That will also help convey the gravitas needed for his role as the host of the show apart, from relating to a family audience watching Bigg Boss. In the past, thanks to his family's connect with the Telugu Desam — NTR founded the party in 1982 and became chief minister the following year, at the same time that NTR Junior was born — Tarak campaigned for the party during election time in 2009. That led to comparisons being drawn between him and Nara Lokesh, Chandrababu Naidu's son. But now with Lokesh's entry as a minister in the Andhra cabinet, NTR has decided to be the Bigg Boss in the film and TV world, without getting into any competition in the political space. The late NTR was a trendsetter in the manner in which he excelled in mythological roles of Lord Rama and Lord Krishna on the big screen. Junior NTR will hope to be a similar trailblazer on the small screen. The grandfather was the big boss of Telugu cinema and the Andhra political landscape for nearly half a century, and the grandson has makes it a case of 'NTR Returns'. Bigg Boss Telugu contestants' list: Posani Krishna Murali, DhanRaj and Srimukhi are rumoured to be on the Jr NTR hosted reality TV show which will be aired on Star Maa. The Telugu TV audiences are eagerly waiting to know the contestants' list of Star Maa's reality TV show Bigg Boss Telugu. The buzz is that Posani Krishna Murali, Dhanraj and Srimukhi will be among the 14 participants on the Jr NTR's show. Several speculations are being made about the 14 contestants of Bigg Boss Telugu. 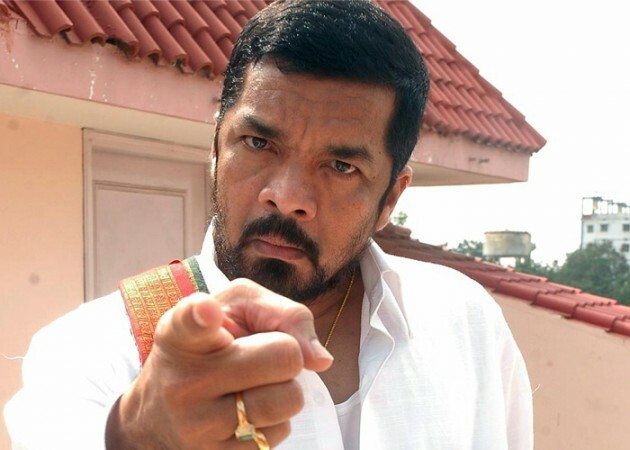 If we are to go by the buzz on the social media, Posani Krishna Murali has been roped in as one of the participants on the show and he is said to be charging Rs 10 lakh per day as his remuneration. It is said to be the highest amount for a contestant on the Telugu version of Bigg Boss. Haricharan Pudipeddi‏, a noted journalist from down south, opines that Posani Krishna Murali is a great choice and his presence will assure entertainment to the audience. Haricharan tweeted: "Actor Posani Krishna Murali will be one of the contestants on #BiggBossTelugu ft #NTR. Great choice. Entertainment guaranteed ." The buzz on the social media also claims that Dhanraj, who is one of the popular Telugu comedians, has been approached and the actor has apparently agreed to be one of the contestants on Bigg Boss Telugu. Another buzz is that Srimukhi, who is an actress-turned-TV anchor, has been approached by the makers of the show. The Adurs host is said to have given her nod to be a participant on the show. The disheartening news is that actor Ravi Teja's brother, Bharath Raj, who was recently ****ed in a car accident, was rumoured to be one of the contestants on Bigg Boss Telugu. The news about his entry hit the internet soon after his death and created a lot of buzz on the social media. Recently, Tamil edition of Bigg Boss, which is hosted by Kamal Haasan, went on air on June 25. Its Telugu edition is set to go on air on Star Maa very soon. The makers of the show are now busy with its promotion and have recently released a couple of teasers which generated a lot of curiosity about the reality show.